Bishop Mariann Budde addresses the parishioners, guests and community partners of St. Columba’s Episcopal Church on November 30, 2012 at the National Postal Museum in Washington, D.C.
Washington, D.C. St. Columba’s Parish celebrated the launch of their annual and capital campaigns on November 30th with approximately 400 people in attendance at The National Postal Museum. 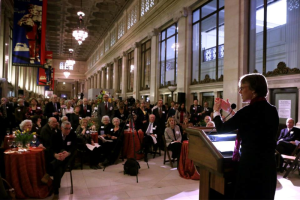 Bishop Marianne Edgar Budde commented that the church’s commitment to mission and outreach, a large component of the capital campaign’s goal, has made St. Columba’s a beacon for the community which serves to honor Christ through action. 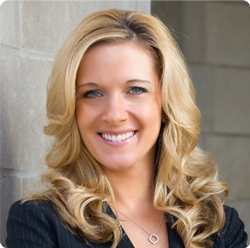 Chris Maynard, Campaign Consultant from James D. Klote & Associates, noted that the keynote address made an impact on everyone who attended. The Bishop’s comments certainly reinforced one of St. Columba’s main tenants in its mission statement to be active in service. The Rev. Janet Vincent, rector, senior warden John Nolan and junior warden Jennifer Turner all addressed the gathering and announced that over $1.8 million has already been raised for the church’s capital efforts and that $460,000 has been committed for the church’s annual stewardship appeal. 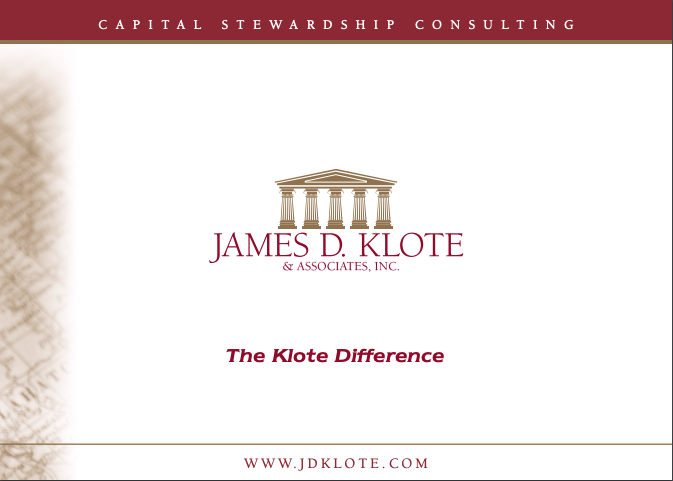 The campaigns will conclude in March of 2013 and are being conducted by James D. Klote & Associates, Inc.